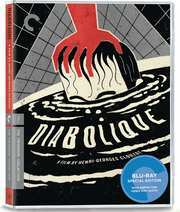 “Before Psycho, Peeping Tom, and Repulsion, there was Diabolique” boasts the marketing blurb on Criterion’s excellent new Blu-Ray release of Henri‑Georges Clouzot’s thriller masterpiece. Of course, it’s true, but there can be no doubt that, just as Clouzot undoubtedly went on to influence Hitchcock, that he was heavily influenced by the thriller-master’s earlier films in turn. 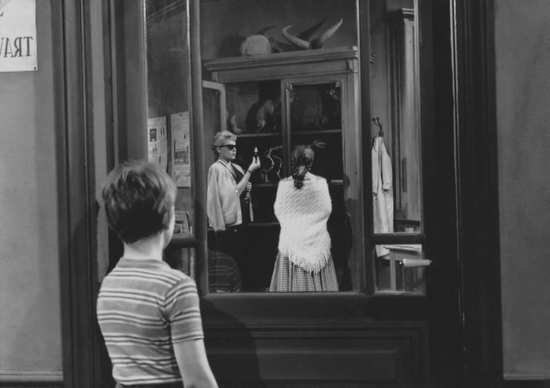 In fact, had ‘Diabolique’ been filmed in English rather than French, I would have had little trouble believing it was a Hitchcock film – other than the more explicit use of violence. 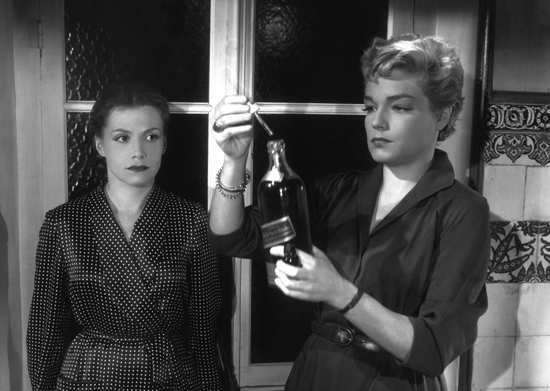 Whatever the case, ‘Les Diaboliques’, as it was originally called, is a brilliant film. Even if you’re a bit averse to foreign-films with subtitles, you’ll almost instantly be so drawn into its plot that you’ll forget you’re reading them. If the idea of a perfectly formed horror-thriller, with a superb twist in the tale, sounds like your thing, then you’re going to enjoy it immensely. Despite part of the fun being these twists, this viewing was my third; the last being probably a year or so ago when I acquired the Arrow Blu-Ray which, if you already have, is also a very good edition, albeit with alternate extra features. So it’s one of those mystery films that is well worth a second look. ‘Diabolique’ is the story of two women—the fragile but wealthy wife and the feisty, no-nonsense mistress of a sadistic headmaster of a boys’ boarding school. His cruelty knows no bounds as he publicly humiliates his sick wife whilst flaunting his relations with the younger mistress. He has come to this position of wealth and power through his marriage to his wealthy wife who is weak and submissive. However, when he apparently beats his mistress, giving her a black eye in the process, she decides enough is enough and that something must be done to end the brute’s reign of cruelty. So together with his wife, with her leading the weaker lady, they plot to kill and dispose of him. 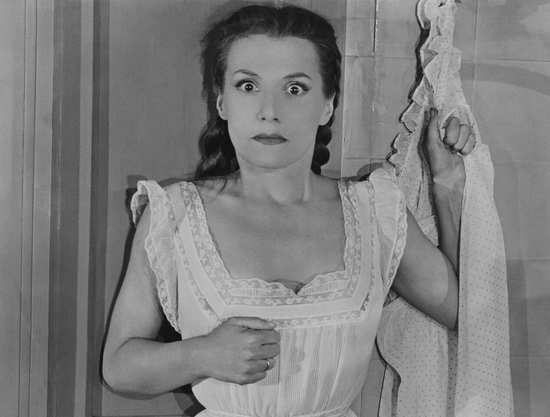 Vera Clouzot, wife of the director, is superb as the critically ill wife with a weak heart (tragically, she was suffering from such an ailment herself at the time of filming and died less than a decade later). Simone Signoret, then less well known, was equally good as the cold, calculating mistress and Paul Meurisse couldn’t have been better cast as the cruellest and most smug of men – a character that the audience would grow to hate so much that all sympathy would remain with the ‘killers’ despite the nature of their crime. Having lured him to a small market town, they set about killing him by doping him and drowning him in a bath. They then ship his body back to the school in a large wicker trunk, before tipping him into the over-grown swimming pool at the school to make the death look either accidental or a suicide. But when the pool is drained there is no sign of the body. His suit is then returned to the school having been dry cleaned and some of the boys claim to have seen him around the school. Swiftly the film moves on from a Hitchcockian murder thriller to a chilling ghost story – or so it would seem. The transfer here is top-notch and looks exquisite on Blu-Ray, with a very decent, uncompressed mono soundtrack to boot. Extra features abound, as you would expect with a Criterion release, and are also top notch with a really informative key-scene commentary from French-film scholar Kelley Conway. There is a very good introduction to the film by Serge Bromberg, codirector of Henri-Georges Clouzot’s “Inferno” who is incredibly knowledgeable and clearly a huge fan of, in his view, the under-rated Clouzot. There is also a fun appraisal from the effervescent and hugely knowledgeable Kim Newman, though this absolutely shouldn’t be watched before the film as it spoils the twist in the tale. It also carries the original theatrical trailer and a printed essay by film critic Terrence Rafferty, along with some really excellent new cover art by David Plunkert. ‘Diabolique’ is such a great film and it has certainly inspired me to take a look at aHenri-Georges Clouzot’s other works. Apparently, he became somewhat over-shadowed by the New Wave French directors at the time, by critics at any rate. Perhaps this excellent release of such a great film will help redress that balance. Highly recommended.